Colorado adventure camping at its best! The Clark family has owned and operated the 4J RV Park & Campground for over 60 years. We take pride in being your hosts and making sure your mountain adventure vacation is as memorable as possible. We have 58 RV sites, 10 Tent sites and 1 Camping Cabin. Please see Camp Sites for complete descriptions, rates and hookup info. 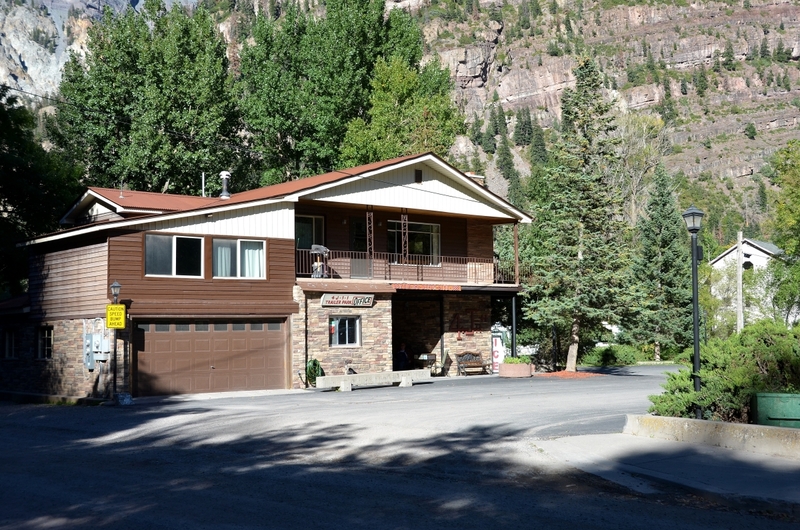 The Ouray Hot Springs pool is just a short walk over a foot bridge to enjoy. The new, extensive renovation is expected to be completed in May 2017. 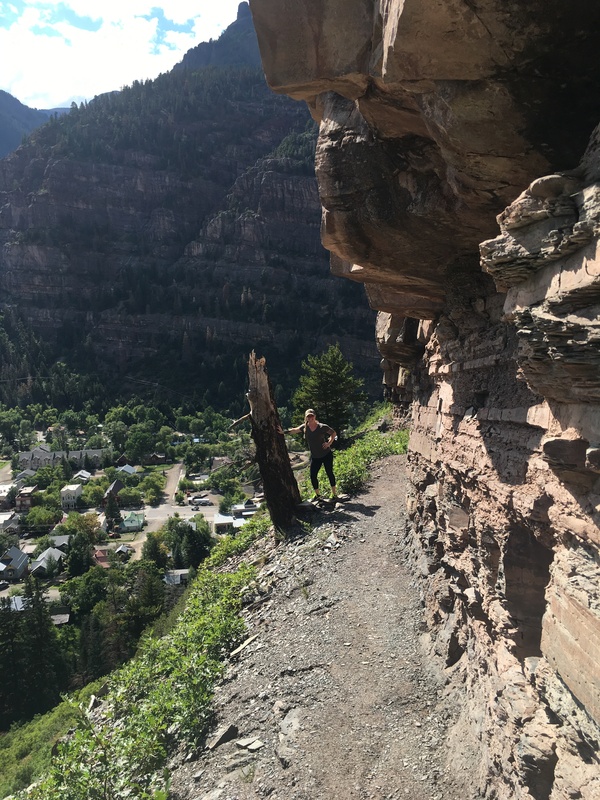 A few blocks farther is the Ouray river walk that is a pleasant, 2 mile round trip, walking trail on the Uncompahgre river. The new Ouray Perimeter Trail has a trail head at our doorstep and there are many other beautiful hiking trails close to our campground. Mountain biking, ATV and horseback riding adventures can be easily arranged with local vendors. Mountain photography lovers can compose beautiful scenic pictures in and around Ouray without having to travel long distances. We strive to provide our guests with features that make a great vacation experience. 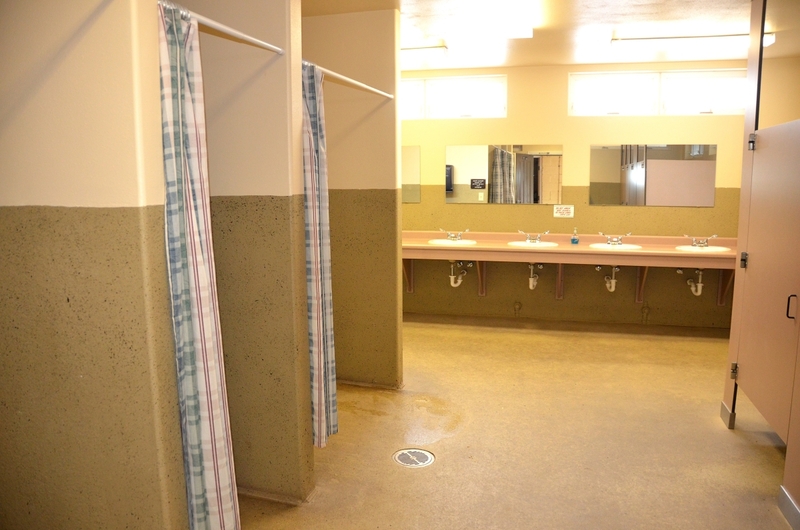 Clean, secure and heated modern restrooms and showers. Well equipped coin operated laundry room. Recreation room with TV, book exchange and lavatory. Our open and closing dates are 5/01 to 10/15. Please call for personal assistance making your reservations. Click on the "Camp Sites" button for site descriptions and rates.